Associate Jobs in Genpact | Walkin Drive On 31st October 2017 – Bangalore. 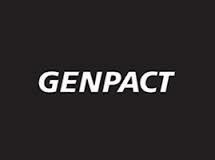 Genpact is hiring BA, B.Com, BBA, BBM, BCA, B.Sc freshers and experienced candidates. This will be a good opportunity for those people who want to get a job in IT Sector. Candidates can utilize this opportunity to set career. As we all know compared to the previous years this year competition for IT Jobs in Bangalore had increased immensely. So there will be a tough competition for this Genpact Recruitment. Preparing According to the Genpact Placement Papers and Genpact Test Pattern will make sure that applicant can get the desired job. Candidates who are interested and eligible can apply for the latest Walkins and for further details you can visit the official website. Aspirants who had done BE, B.Tech, MBA, M.Tech, M.Sc graduation those people are not eligible to attend for the Genpact Recruitment. If candidates are well versed with the good knowledge they will be placed in Supply Chain Planning role. As a part of the team, the candidate will be required to Releasing of material and making sure these requisitions are converted to Purchase orders. Currently, we are hiring for graduate freshers with excellent communication skills for Night Shift. Job Role – Supply Chain Planning. Job location will be Bangalore Electronic City. Only BA, B.Com, BBA, BBM, BCA, B.Sc passed out candidates are applicable. No BE, B.Tech, MBA, M.Tech, M.Sc (No Post Graduates). Max CTC will be 1.8 LPA with variables. Shift Timings – 5:30 pm – 2:30 am. CTC – 1.8LPA + Variables. Work Location – Electronic City, Bangalore. Understand supply chain concepts and Interact with Master Scheduling, Forecasting, Order Management, Planning, Sourcing, and Fulfillment. Update the Customer on weeks performance in the Dash Board Reviews. Analyse parts schedules work on Spares, Military and Assembly Parts for Early Shipments and Late Shipments. Cancellation of material when not required by Supply Chain. Releasing of Material and making sure these requisitions are converted to Purchase orders. Give inputs for Vendor Evaluation re-schedule mass pull-ins and pushouts outside Planning Time Fence. Genpact is a global professional services firm focused on delivering digital transformation for our clients, putting digital and data to work to create competitive advantage. We deliver value to our clients in two ways through digital-led, domain-enabled solutions that drive innovation, and through intelligent operations enabled by digital that design, transform and run clients operations. We do this by integrating lean principles, design thinking, analytics and digital technologies with our domain and industry expertise to deliver disruptive business outcomes an approach we call Lean DigitalSM. For two decades, first as a General Electric division and since 2005 as an independent company, we have been passionately serving our clients. We generate impact for clients from the Fortune Global 500 and beyond, and employee over 77,000 people in more than 20 countries, with key offices in New York City, Palo Alto, London, and Delhi. Our approach is continually refined in one of the world largest digital process sandboxes, where we test and improve thousands of processes. Aspirants can attend for the Genpact Walkin Drive which is held in Bangalore on 31st October 2017. So candidates who are interested they can directly attend for the below mentioned venue. Contact Person– Swapna N (HR). All India Jobs is a place where you can get anything and everything about all the Jobs that are conducted throughout the country. Contenders can check our site www.allindiajobs.in for more latest and accurate official information. As we update our site pretty much regularly.